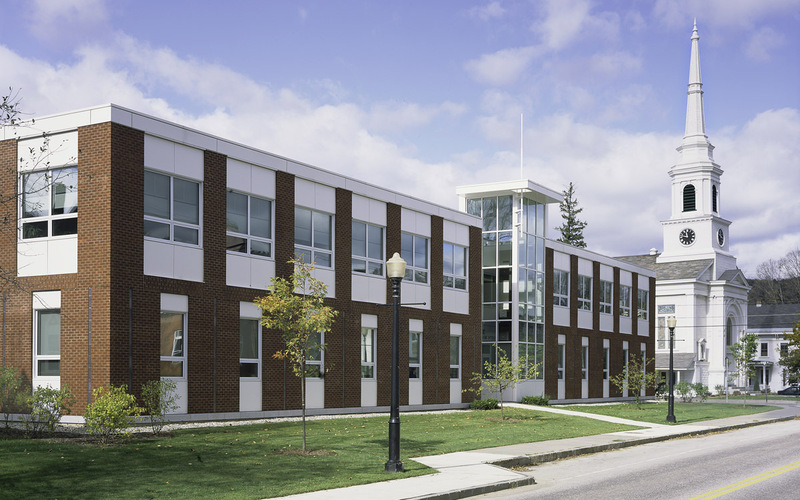 Located in the historic downtown neighborhood of Randolph, Vermont, this project for DuBois & King Engineers offers a fresh and forward-looking interpretation of the office building prototype while respecting the historic nature of its context. The building recalls the memory of the old Randolph Village School it replaced through its use of materials, window configuration and scale. 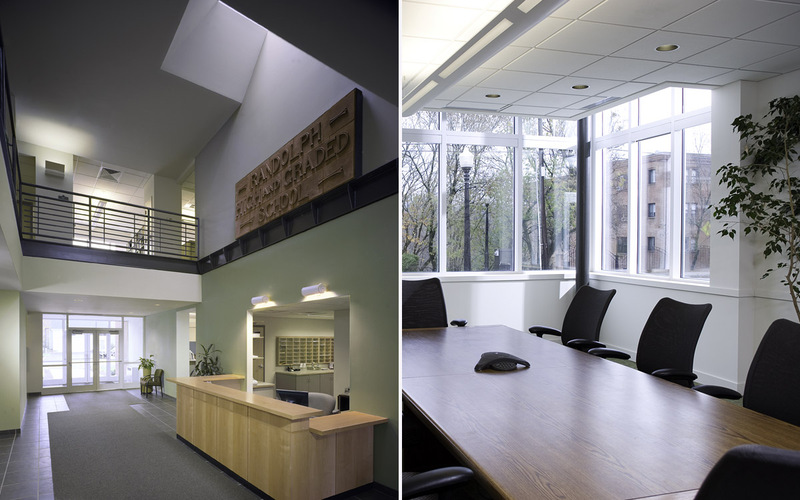 Major energy savings have been realized as a result of a comprehensive building and energy design. The project features a super-insulated thermal envelope, high efficiency equipment, aggressive air sealing, and a total heat recovery system. 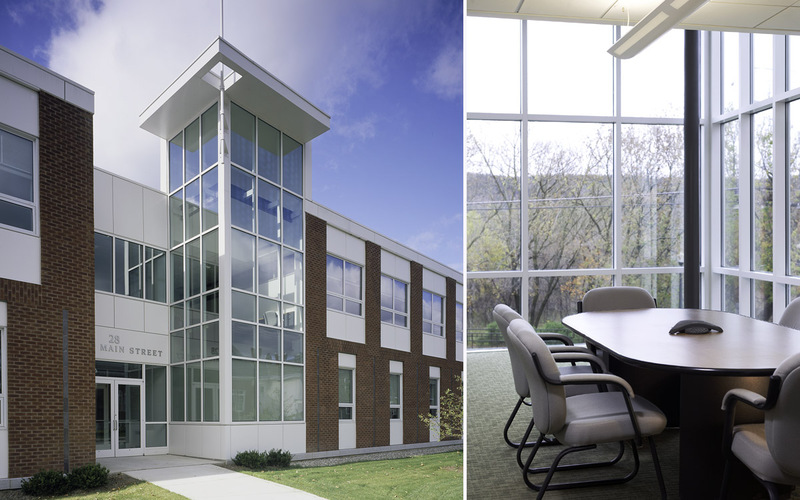 TruexCullins worked aggressively to keep the cost of this building within a tight budget mandate, and provided the client with an efficient, functional and compelling design that achieves their cost objectives.